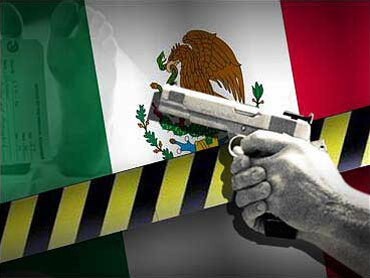 MEXICO CITY The Mexican navy says a suspected cartel leader captured over the weekend is accused of involvement in some of Mexico's most notorious crimes in recent years. Navy spokesman Jose Luis Vergara says Salvador Alfonso Martinez Escobedo was arrested Saturday and is believed to have masterminded the massacre of 72 migrants in the northern state of Tamaulipas in 2010. David Hartley's wife has said she and her husband were using personal watercraft on Falcon Lake when they were approached on Sept. 30, 2010 by a group of Mexican pirates who shot and killed her husband. Last year, Tiffany Hartley urged the U.S. government to do more to find the body of her husband. In September, more than 130 prisoners escaped from the state prison in Piedras Negras, which sits across the border from Eagle Pass, Texas. Some prisoners reportedly got away through a tunnel, but others apparently left through the main door.